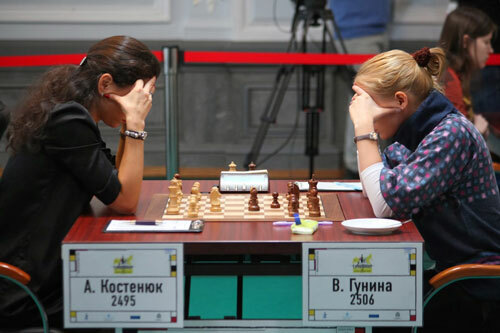 The final round game Kosteniuk – Gunina that ended in a draw and secured Gold for Valentina. 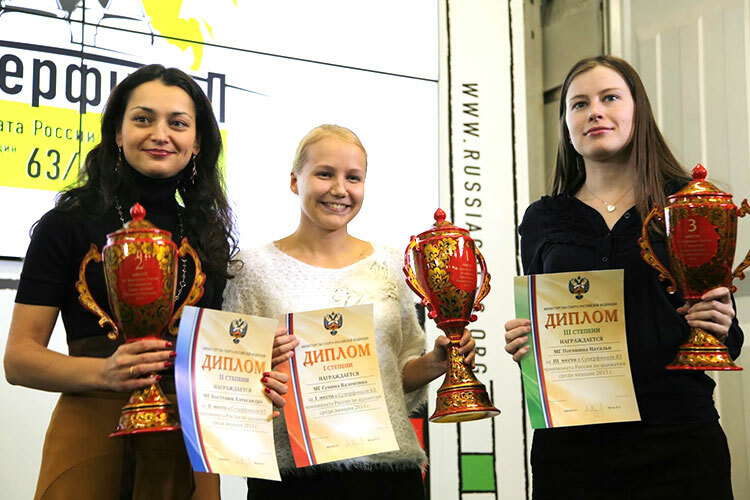 It was an amazing tournament and you played really well Chess Queen. Congratulations. 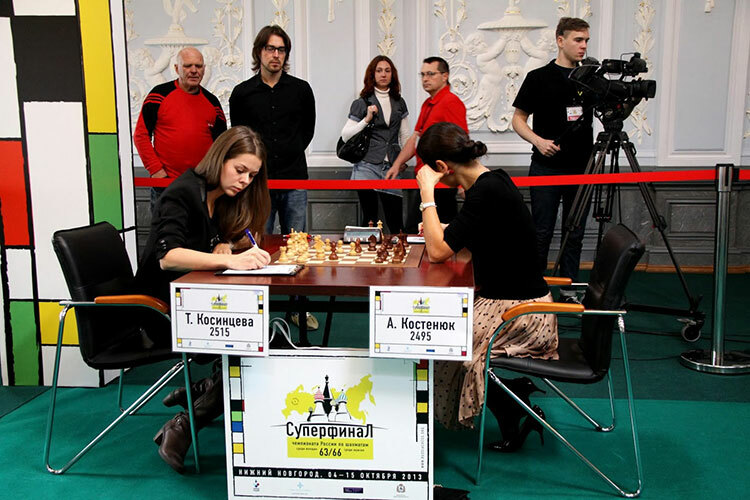 Fantastic game against Charochkina. congratulations for an amazing gain of 12 points. congratulations for the silver. You rock alexandra. 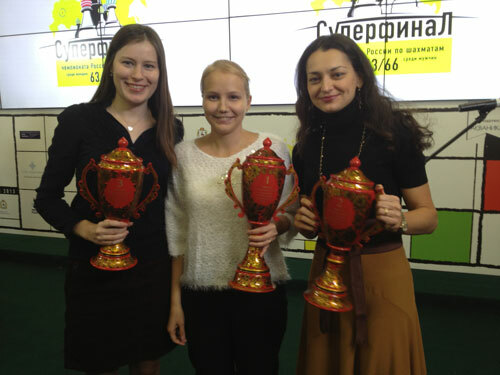 CONGRATULATIONS SASHA – those cups are full of sweets, wine or chocolates? Indeed a great game. Sacrificing a rook, then a knight and if black accepts the knight, sacrificing a bishop! Incredible. Congratulations. Very well played. I have decided never to play the Caro Kann against Chess Queen. wink. superb performance on a winning spree and i nearly thought you won that last game for the title. congrats. A well-deserved and very hard fought victory. Congratulations chess Queen. 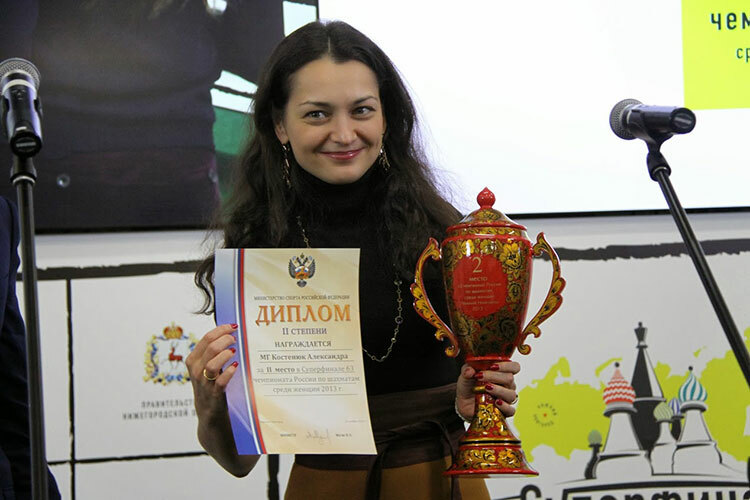 Congratulations to Alexandra Kosteniuk – the one and only Chess Queen and Queen of Hearts around the world. Your chess and smile have touched hearts across the globe. It’s a joy to follow your chess adventures and conquests. И Саша! – Только восхищенье! Второе место! Ну и ну…! Да ты сама во всём красива! А так же жизненных успехов!